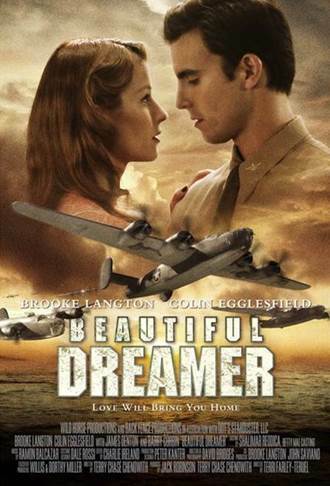 Starring Colin Egglesfield (Rizzoli & Isles, Something Borrowed) and Brooke Langton (The Glades, Supernatural), Beautiful Dreamer is a heartwarming love story set in WWII. Joe, a recently-married military pilot whose plane is shot down, is listed as missing in action and assumed to be dead. But when his grief-stricken wife, Claire, meets a man in a nearby town with amazing similarities to him, she begins to search for answers. What she finds will challenge her love and commitment. Beautiful Dreamer is just one of many upcoming films that will air exclusively on INSP—the network for the millions of Americans looking for a television home that honors timeless traditional values. INSP offers a wide variety of quality dramas, inspiring stories, and other family-friendly entertainment. The network is available 24 hours-a-day through cable systems, satellite and telcos.